How do plants dance? How can we make evolution understandable? How do we teach science and scientific thinking? 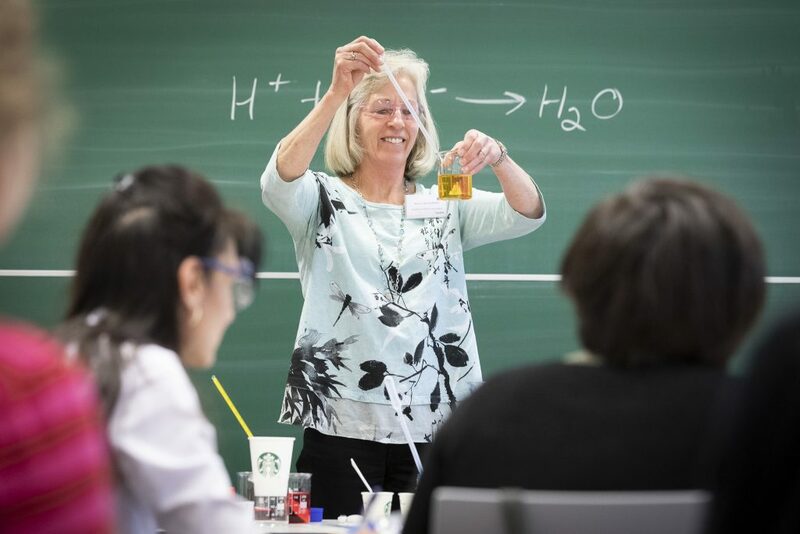 Around 200 participants addressed these topics at this year’s Science Education Day at IST Austria, which was held for the first time in cooperation with the University College for Teacher Education Vienna and University College for Teacher Education Lower Austria. Scientists, teachers and teachers-in-training as well as the interested public discussed questions about science education and its newest methods. The event was opened by IST Austria managing director Georg Schneider, who emphasized that scientific institutions like IST Austria have to be in a dialogue with the public, to show how science can benefit society and how it works. In the talk „Next Generation Standard for Science Education” by guest speaker Petra Van Koppen from the University of California pointed out how important it is not to only teach facts but to teach how scientific thinking works and how to utilize it. In the afternoon, Suzanne Kapelari (University Innsbruck), Barbora Trubenova (IST Austria), Christian Bertsch (University College of Teacher Education Vienna), Georg Heilig (IST Austria) and Magdalena Steinrück (IST Austria) offered workshops where the participants tried hands on teaching materials for science education. “For IST Austria, it is important that the public can actually experience science,” explains Georg Schneider, IST Austria. For everyone interested in science the next possibility to experience hands-on science is Open Campus at IST Austria on May 26, 2019.